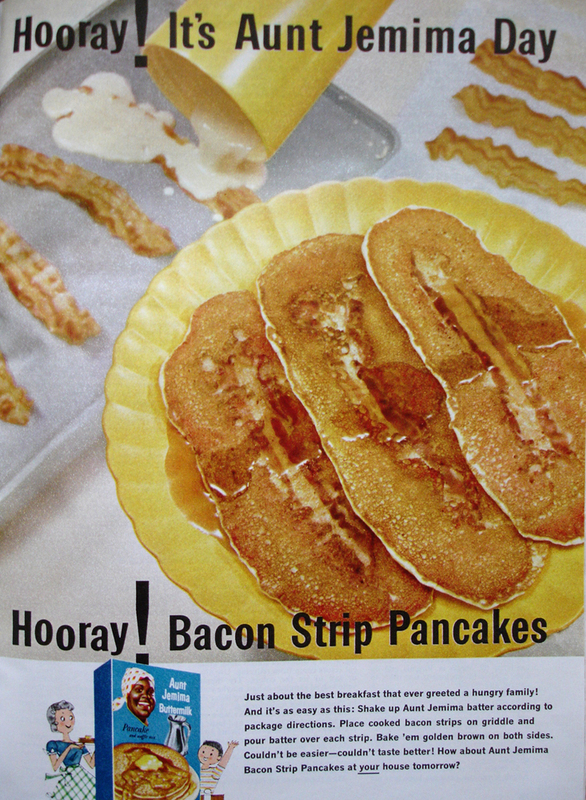 This Monday Meal is brought to you by Aunt Jemima – Bacon Strip Pancakes. 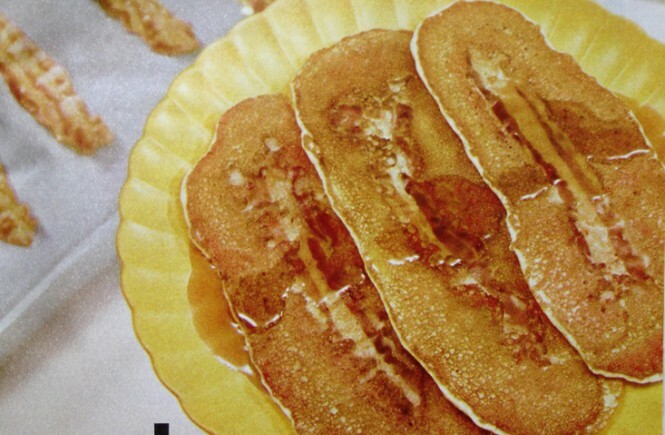 Just place the bacon strips on the griddle and pour batter over each strip. That’s it! “Just about the best breakfast that ever greeted a hungry family!” It’s so easy!